Banners are a great way to advertise your company, your event or your team. We have had banners used for car shows, baseball and softball teams (hung banner on dugout), family reunions, and fundraisers. For each event the banner is a great avenue for a durable product that can help promote your spirit, image, and visibility. Our banners are made out of 13 ounce vinyl so hold up great against weather. They can be hung vertical or horizontal, and come custom sizes that fits your needs. Find your creativity, and send your ideas our way to make it come alive. Posted on July 25, 2017 by Andrea Griebling and filed under Events, Misc-, Custom Banners. 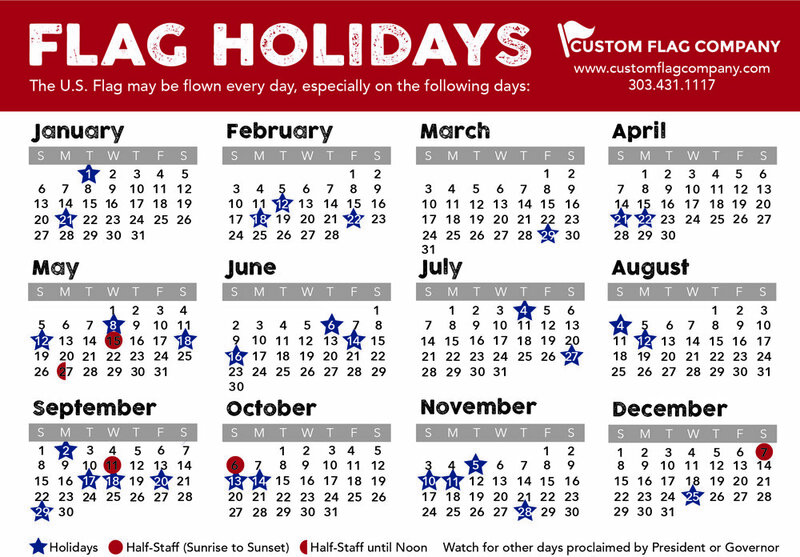 We desire, at Custom Flag Company, to inform you of the many things that are happening in the world of flags. We will give you insight into our business and what we do on a daily basis, but also show off some of the different jobs we do around the Denver Metro area for our diverse customer base.